Endometriosis is a painful reproductive disorder that affects 176 million women worldwide. During normal menstruation, the female body naturally sheds the endometrium (the clinical term for the lining of the uterus). In some women and girls, however, these menstrual fluids leak back into the body and implant in areas outside of the womb. As the woman’s hormones change throughout her cycle, this abnormal tissue responds to hormonal fluctuations, grows, menstruates and sheds. They have no way exiting the body and subsequently give rise to Endometriosis. Human papillomavirus or HPV is a virus you may not know too much about—but you should. HPV will affect an estimated 75% to 80% of males and females in their lifetime. For most, HPV clears on its own. But, for others who don’t clear certain types, HPV could cause significant consequences: cervical, vaginal, and vulvar cancers in females. Other types could cause genital warts in both males and females. Warts often go away without treatment. But even if your warts have disappeared or have been removed, you can still harbor HPV and may transmit the virus to others. Infertility or reproductive problems are often treatable. Most people aren’t aware that male infertility is as common as female infertility. Causes of infertility include certain diseases and aging. However, infertility treatment with infertility drugs and high-tech procedures gives many women the chance to have a baby. We offer a wide variety of treatments for those experiencing problems with infertility. An ovarian cyst is a sac filled with fluid that forms on or inside of an ovary. Each month during your menstrual cycle, a follicle (where the egg is developing) grows on your ovary. Most months, an egg is released from this follicle (called ovulation). If the follicle fails to break open and release an egg, the fluid stays in the follicle and forms a cyst. This is called a follicular cyst. Another type of cyst, called a corpus luteum cyst, occurs after an egg has been released from a follicle. These often contain a small amount of blood. Uterine fibroids (leiomyomata) are non-cancerous growths that develop in or just outside a woman’s uterus (womb). Uterine fibroids develop from normal uterus muscle cells that start growing abnormally. As the cells grow, they form a benign tumor. Uterine fibroids are extremely common. In fact, many women have uterine fibroids at some point in life. Uterine fibroids in most women are usually too small to cause any problems, or even be noticed. No one knows what causes uterine fibroids, but their growth seems to depend on estrogen, the female hormone. Uterine fibroids don’t develop until after puberty, and usually after age 30. Uterine fibroids shrink or disappear after menopause, when estrogen levels fall. Urinary tract is the system that makes urine and carries it out of your body. It includes your bladder and kidneys and the tubes that connect them. When germs get into this system, they can cause an infection. Doctor Shahnoz Rustamova was born into a big family that has seven generations of medical doctors. The main concern of the members of this family, who lived in the spacious house of Samarkand city, was to heal the sick and help those who are in needs. 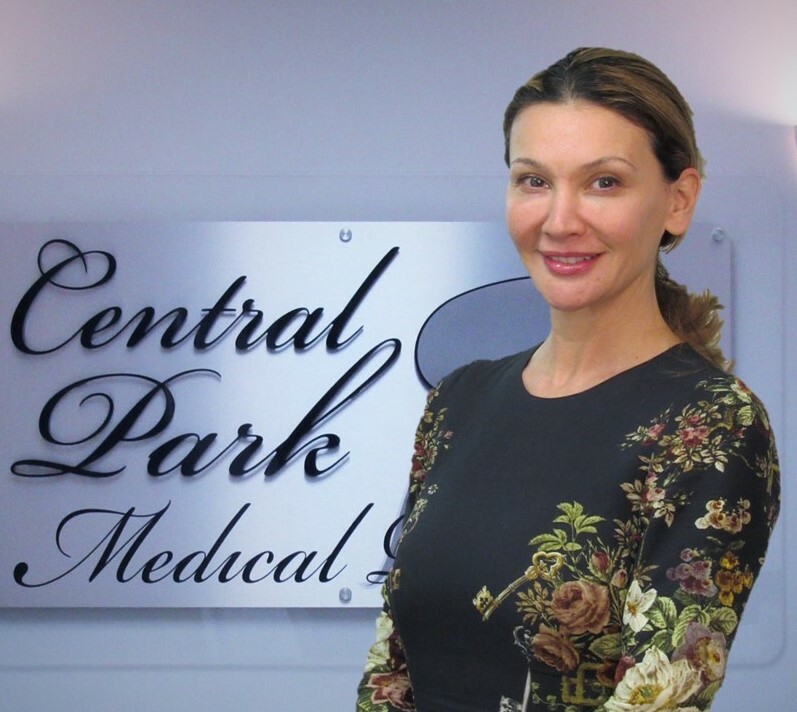 Shahnoz Rustamova has become a doctor herself, and now she heads the Clinic, Central Park Medical Practice and Cosmetics, in the center of Manhattan. Dr. Shahnoz Rustamova specializes in Obstetrics and Gynecology as well as Vaginal Reconstructive Surgery, Urogynecology and Reproductive Endocrinology. Shahnoz Rustamova MD is a Member of the International Society of Cosmetogynecology and certified by The American Board of Obstetrics and Gynecology (ABOG). She is also a member of the North American Menopause Society. 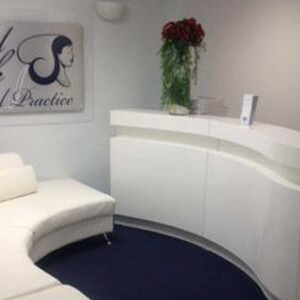 Dr. Shahnoz Rustamova is continuously in process of learning and passing on her knowledge to her staff. She trains students who are serving their internships at her Clinic. Many of her interns get a start in their professional lives with her help. Dr. Rustamova instills and supports their desire to improve their education and to spend their lives, as she does, serving others in the medical field. At the Clinic, everyone studies and shares their knowledge with other staff members. Here, at the Central Park Medical Practice and Cosmetics, life abounds!